Thanks to new Sitecom Mimo-XR Technology you are assured of wireless transmission throughout your whole house! Your connection will also be fast enough for wireless sharing of seriously large multimedia ﬁles such as digital music and movies because the WL-153 performs with actual throughput speed of no less than 35 Mbps. 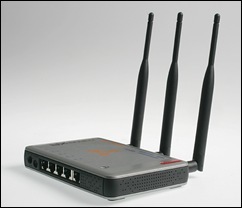 Sitecom Mimo-XR is backwardly compatible with the existing 802.11b/g standard.